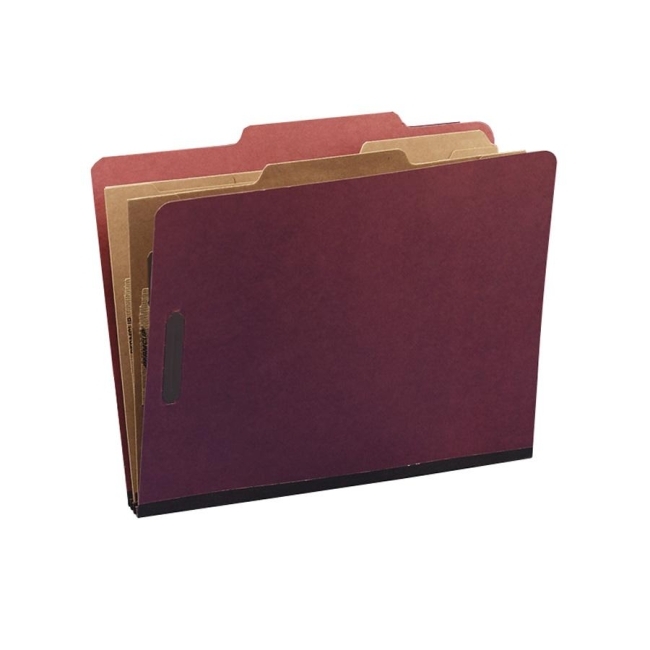 Two-pocket classification folders offer a great way to organize projects that include photographs, valuable originals and other items that cannot be punched. Feature 25 point Pressboard covers with 2" capacity fasteners on inside front and back covers and 1" fastener on sides of each pocket. Provides six filing surface for two-hole punched papers. Pockets are 11 point reinforced kraft. Strong Tyvek gussets allow 2-1/4" expansion. Each contains 60 percent recycled material with 30 percent post-consumer recycled material.